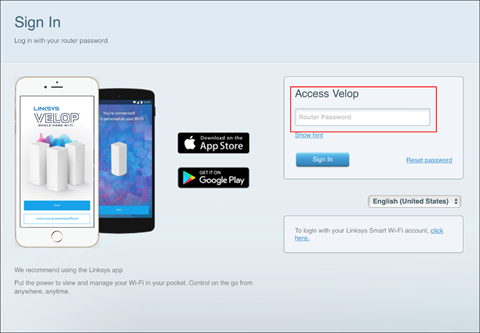 You can now use the Linksys Smart Wi-Fi, a browser-based administrative tool to view and change settings in your Linksys Velop System. NOTE: Before you begin, make sure you're connected to the Velop's Wi-Fi. 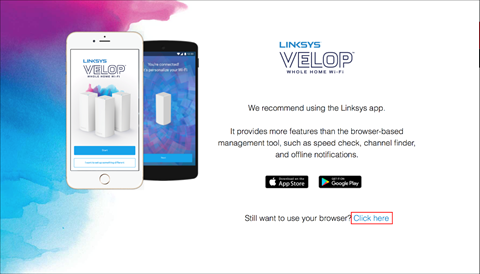 Launch a web browser and enter “www.linksyssmartwifi.com” in the Address bar. NOTE: The default IP address is 192.168.1.1. 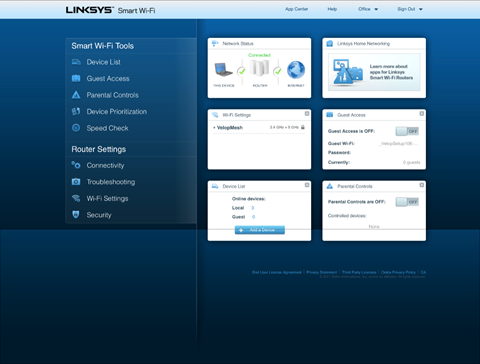 You can also check your node's IP address using the Linksys app. To do this, go to Dashboard > Menu > Velop Administration. Then, select the primary node and look for the IP Address. Select the Click here link. 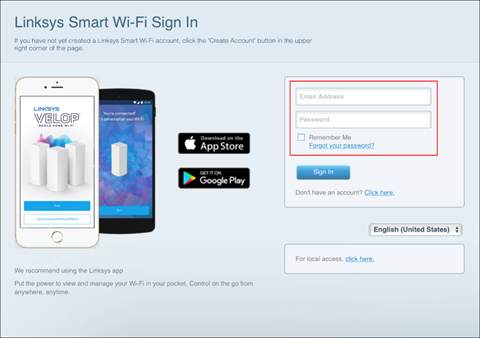 Enter your Linksys cloud account credentials, then click Sign In. Alternatively, you can also click the link next to For local access and enter your admin password in the field. Then, click Sign In. You will be taken to the primary node’s dashboard.